Leon Cohen (Greek: Λεών Κοέν; born 15 January 1910 in Thessaloniki, Greece and died in August 1989 in Bat Yam, Israel), was a Jewish-Greek survivor of the Auschwitz concentration camp. He was a member of the Sonderkommando in Birkenau from May to November 1944. He was one of the only three members of the Sonderkommando who wrote his memoirs after the war, along with Filip Müller and Marcel Nadjary. He took part in the preparation of the Sonderkommando uprising. Leon Cohen (Greek: Λεών Κοέν ; born 15 June 1910 in Thessaloniki, Greece and died in August 1989 in Bat Yam, Israel), is a Jewish-Greek survivor of the Auschwitz concentration camp. He was a member of the Sonderkommando in Birkenau from May to November 1944. The father of Leon Cohen was a well-off, successful merchant, who imported goods from Germany and Austria and had commercial relations with small merchants in Brussels. Leon Cohen had two sisters, Agnes and Margot, and one brother, Robert. He went to the Leon Gatenyo business school, a French-German institution. He was given a strong French education and learned the finest French literature, because the teacher was the principal and founder of the Chevalier de la Liaison Francaise school. After he graduated, he first worked at the Thessaloniki international fair. Later on, he worked for Decca Records, an enterprise that sold records and radio sets. Before the occupation, he was an official supplier for the Greek Ministry of Defense. Later on, he was drafted into the Greek army. He was arrested in 1942, like thousands of young Jewish men, and was sent to the German prison in Thessaloniki, from which he escaped. 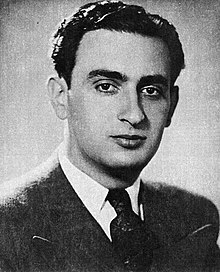 On January 15, 1943, he married his first wife, Germaine Perahia, the daughter of Yehoshua Perahia, owner of the Bank Union (along with Joseph Nehama) in Thessaloniki. The Jews of Thessaloniki were sent into a ghetto from which he escaped with his wife. He arrived in Athens and was arrested by the Germans, while his wife and her parents hid themselves. He was sent to the Haidari concentration camp. He was deported from Athens on April 2, 1944, and arrived at Auschwitz on April 11. His mother and his younger sister Margot, who was pregnant, were murdered upon their arrival. Cohen is one of the 320 Greek men selected for labor (serial numbers from 182,440 to 182,759). His number is 182,492. As he could speak German, it was a vital asset, considering that most of the Sephardic Jews from Thessaloniki could only speak Greek, Ladino, Italian, or French. They were isolated in the camp most of the time, in particular with regards to the other Jews who were speaking mostly in Yiddish. On May 15, after 4 weeks in the Männerquarantäne Block (quarantine barracks) in Birkenau, he was selected, along with 100 Greeks, to be part of the Sonderkommando After a few days at the cremation pits of the Bunker 2 and at the Krematorium IV, he was permanently assigned to Krematorium III as "dentist" or Zähnekontrolle (i.e. examining the mouths of the people who have been murdered and ripping out their gold teeth). He witnessed the destruction of the Hungarian Jews during the summer of 1944, the definitive evacuation of the family camp (from 10 to 12 July) and the gassing of the Gypsies in the beginning of August. As with many witnesses, he remembered the cruelty of the Hauptscharführer Otto Moll. At the Krematorium III, he met the French painter David Olère and was very closed to the French industrialist Hersz Strasfogel. He took part in the preparation of the Sonderkommando uprising, alongside Yaacov Kaminski, Lemke Chaïm Pliszko, Dawid Kotchak, Giuseppe Baruch, Leibl Paul Katz, Marcel Nadjari and Alberto Errera. But when it happened on October 7, 1944, the prisoners of the Krematorium III could not take part in the rebellion and were quickly surrounded by the Germans. After the end of the extermination by gas at mid-November, Cohen and his comrades were drafted into the Abbruchkommando Krematorium, which means the unit in charge of the demolition of the Krematoriums (about 70 prisoners). On January 17, 1945, the SS begun to evacuate Auschwitz, and the few thousand inmates that could walk were filed out of the camp on a death march. Although the members of the Sonderkommando were not allowed to leave the camp, Cohen and other members of the Sonderkommando mingled with the crowd of prisoners (about a hundred members of the Sonderkommando escaped from the camp this way). He was sent to the Mauthausen concentration camp. He was deported to Melk, Linz, Gusen and Ebensee concentration camps from which he was liberated on May 6, 1945 by the 80th Infantry Division of the US Army. Almost dead, he was treated in hospital (between 40 and 50 former members of the Sonderkommando survived after the camps were freed). He went back to Thessaloniki in August 1945. He had two children, Lily and Jean-Jose. In 1961, he met in Paris the daughter of Herzs Strasfogel, a member of the Sonderkommando who became a close friend and was killed during a Selektion in November 1944 by the Germans and to which he had promised to visit his family if he survived. In 1972, he settled in Israel in Bat Yam with his second wife. He was interviewed three times by Israeli Historian Gideon Greif and wrote a book in French : From Greece to Birkenau, the crematoria workers' uprising. He received no reparations from Germany, evidently due to bureaucratic foot dragging or negligence. His health deteriorated and he died in 1989 in Bat Yam. Select excerpts of his book appeared in Hebrew in the journal Pe'amim  in 1986 and an English edition of the memoirs came out in 1996. Unfortunately, the original manuscript in French is lost and this publishing lacks the beginning in Greece and the end in Mauthausen. Leon Cohen is mentioned by numerous survivors: Ya'akov Gabai, Shaul Chazan, Shlomo Dragon, Jozef Sackar, Marcel Nadjari, Daniel Bennhamias, Jacques Stroumsa and Shlomo Venezia. ^ See Gideon Greif, We wept without tears, Yale University Press, 2005, p. 80 : Only four former members of this unit published memoirs : Marcel Nadjari, Leon Cohen, Filip Müller, and Miklos Nyiszli. We can consider that the last writer mentioned by Dr. Greif, Dr. Miklos Nyiszli, may not be really part of the Sonderkommando, as he was performing autopsies for Dr. Josef Mengele, even if he was living with the members of the Sonderkommando. The other books about Sonderkommando members, such as Shlomo Venezia or Daniel Behnnamias, are testimonies or interviews, and not strictly speaking memoirs. ^ Filip Müller, Eyewitness Auschwitz: Three Years in the Gas Chambers, Stein and Day, 1979. ^ Marcel Nadjary, Χρονικό 1941–1945 [Chronicle], Ιδρυμα Ετσ - Αχα'ι'μ, Thessaloniki, 1991. ^ Ya'akov Gabai: I'll Get Out of Here! in Gideon Greif, We wept without tears, Yale University Press, 2005, p. 209: One the men who was in the Sonderkommando, a Greek named Leon Cohen, is still alive. He was married to the daughter of a bank manager in Salonika. When Cohen was arrested and sent to Auschwitz, his wife fled with her father. ^ Shaul Chazan: Life Didn't Matter Anymore, Death Was Too Close in Gideon Greif, We wept without tears, Yale University Press, 2005, p. 263: I remember that Leon Cohen was the only one of us who spoke German..
^ See Auschwitz by Tal Bruttmann : as early as 16 May 1944, four convoys, each carrying 3,000 Jews from Hungary in 45 wagons, had to leave Hungary daily for Auschwitz. After being removed from Auschwitz in November 1943 by order of Himmler, Rudolf Höss was called back to the camp commandment to prepare the site for the scheduled mass arrival (Aktion Höss). On 9 May, orders are given to increase the number of prisoners of the Sonderkommando and Kanada Kommando (see Auschwitz Chronicle by Danuta Czech). In mid-April, the number of Sonderkommando prisoners stood at 207. On May 15, a contingent of 100 men is taken from the quarantine camp among the Greek Jews selected on April 11. ^ Shlomo Venezia & Béatrice Prasquier, Inside the Gas Chambers: Eight Months in the Sonderkommando of Auschwitz , Polity, 2011. ^ Conference by Jean Cohen on the Sonderkommando uprising : https://www.youtube.com/watch?v=_H0oWQoXvi8. ^ Leon Cohen: We Were Dehumanized, We Were Robots in Gideon Greif, We wept without tears, Yale University Press, 2005, p. 286 . ^ Pe'amim 27, Studies in Oriental Jewry, 1986. ^ Leon Cohen, From Greece to Birkenau : the crematoria workers'uprising, translated from the French by Jose-Maurice Gormezano, postscript by Lily Eiss-Perahia nee Cohen, Salonika Jewry Research Center, 1996. ^ Ya'akov Gabai: I'll Get Out of Here! in Gideon Greif, We wept without tears, Yale University Press, 2005, p. 181: Our group was made up mainly of Greek Jews, including Michel Arditti, Josef Baruch of Corfu, the Cohen brothers, Shlomo and Maurice Venezia, me and my brother Dario Gabbai, Leon Cohen, Marcel Nadjari, and Daniel Ben-Nachmias. ^ Shaul Chazan: Life Didn't Matter Anymore, Death Was Too Close in Gideon Greif, We wept without tears, Yale University Press, 2005. ^ Abraham and Shlomo Dragon: Together—in Despair and in Hope in Gideon Greif, We wept without tears, Yale University Press, 2005, p. 176: Almost all the Sonderkommando men who had survived to that time - about a hundred men - left Auschwitz on this march. They included Shmuel from France, Leibl from Grodno, Lemke Pliszko, David Nencel from Rypin, Moshe and Yankl Weingarten from Poland, Aba from Grodno, Berl Beirach from Luna, Sender from Berlin, Maurice from Greece, Leon Cohen from Salonika, and Shaul Chazan from Salonika. ^ Josef Sackar: To Survive, so the Truth Would Come Out in Gideon Greif, We wept without tears, Yale University Press, 2005, p. 93: Among the Jews who survived, I remember the Gabai brothers, Shaul Chazan, the Venezia brothers - one of them is living in Italy now, the other is in America - and the late Leon Cohen. ^ Rebecca Camhi-Frome, The Holocaust odyssey of Daniel Bennahmias, Sonderkommando, University of Alabama Press, 1993: The "four partners" organized for survival. So-and-so got this, so-and-so did that, so-and-so did the other. Mostly they got food.And then they shared. Leon Cohen and Saul Hazan were incredible at this; simply the best, but the thought of Leon evokes a fond chuckle at the welling of memory. "He was so good at stealing!". ^ (in French) Tu choisiras la vie, Les éditions du Cerf, 1998 : Un soir, je ressentis une douleur aigüe dans le bas-ventre, du côté droit. J'en fis part à mon camarade Léon Cohen (que j'ai revu à Salonique en 1986).